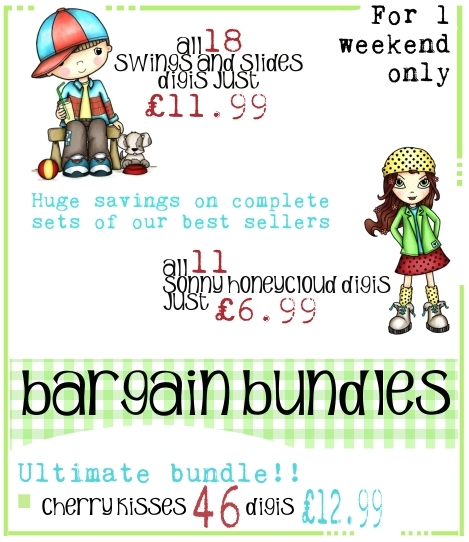 Tales from Pollycraft: BARGAIN BUNDLES... ONE WEEKEND ONLY! there really are some unmissable offers!! get yourself over there for a looksie!! and 2 ...YES thats 2 freebies!! Ooooh! That looks like some good deals. Can't wait to see the images tomorrow. I'm very much liking your new range- Spencer- by the way.